As many of our previous and existing clients have discovered, the SWS Quantum system combines market leading quality and technical superiority with outstanding value for money, all backed up by a independently insured warranty, including design liability. Supported by the SWS technical staff and installed by a nationwide group of carefully selected, experienced approved contractors, the system provides all of the answers for those clients who are looking for the ultimate High Performance Built up Membrane roofing system. 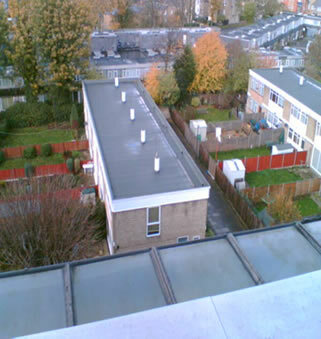 Quantum 3mm MLVB – a high quality vapour barrier incorporating a continuous aluminium foil to provide a vapour barrier- use as base layer on warm roof installations. 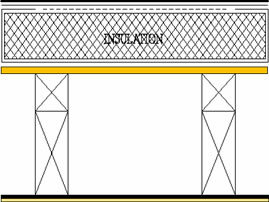 SWS Insulation- subject to the specification required- Typically 100mm PUR board. Ipertec Forato 745gm venting layer – designed to give a partial bond to allow vapour transmission below the system and avoid blistering of the upper layers caused by trapped vapour – used as base layer for cold roof systems or installed over the insulation for warm roof systems. SWS Tech 5000 G200 Underlay- this is the heart of the system, this polyester reinforced 3.0mm underlay has -30 degree cold temperature flexibility and is technically one of the best Bitumen Based Membrane products available.